You’ve been brushing your teeth ever since you were a child, but what if you’ve been doing it wrong your entire life? Don’t panic! 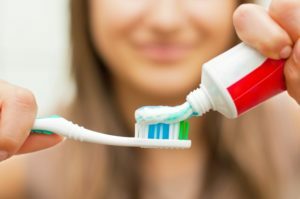 We are here to give you helpful tips and tricks on how to brush your teeth and maintain a healthy oral hygiene routine. Your trusted dentist in Melbourne will provide great insight into what you can do to keep your mouth healthy before even stepping foot in a dentist’s office. Toothbrush angle: Place your toothbrush at a 45-degree angle to the gums to ensure your teeth and gums get clean. Brush all the surfaces: Make sure you are brushing the outer, inside, and chewing surfaces of your teeth. Don’t forget the tongue: Brushing your tongue can remove bacteria that otherwise will eventually get caught in your teeth. Make sure to brush your teeth AT LEAST twice a day. This should be done once in the morning and once at night. If you do not brush your teeth at night, you’re giving the bacteria in your mouth a chance to settle into your teeth which can eventually lead to health problems like cavities. Your teeth brushing should last no shorter than 2 minutes for each session in order to clean all of your teeth. Floss at least once a day. This will clean out any food or bacteria between the teeth that your toothbrush can’t reach. Mouthwash can be a good addition to your brushing routine, but it should not take the place of brushing and flossing. Mouthwash can reduce acid in the mouth, give you fresh breath, clean hard to brush areas, and re-mineralize the teeth. If you have problems with dry mouth, use a mouthwash without alcohol. Size: Toothbrush lengths and head sizes can vary, so make sure you get one with a brush head that you can fit into your mouth and the hard to reach areas. The handle should also be long enough that you can hold it comfortably. Bristles: For most people, soft bristles will be the best option and what your dentist recommends. You can also make sure the bristles have rounded tips for even more tooth protection. Recommendation: Look for toothbrushes that have earned the American Dental Association Seal of Approval or ask your dentist what they recommend. Better plaque removal: Rotating electric brushes reduce plaque by 21% and gingivitis by 11%. Easy for people with limited mobility: If you have carpal tunnel, arthritis, or anything that restricts your mobility, electric toothbrushes can do most of the work for you. Consistent routine: A lot of electric brushes have timers, so you can brush your teeth for the same 2 minutes each session. The choice between manual and electric can be your personal preference based on how you like to brush. To be sure, ask your Melbourne dentist what’s right for you. Dr. Beverly Rose has had her own private practice in the Melbourne area since 1996. She has been committed to caring for and educating her patients on proper brushing and oral health routines. She currently practices at Exceptional Dentistry and can be contacted by phone at (321) 259-4666.